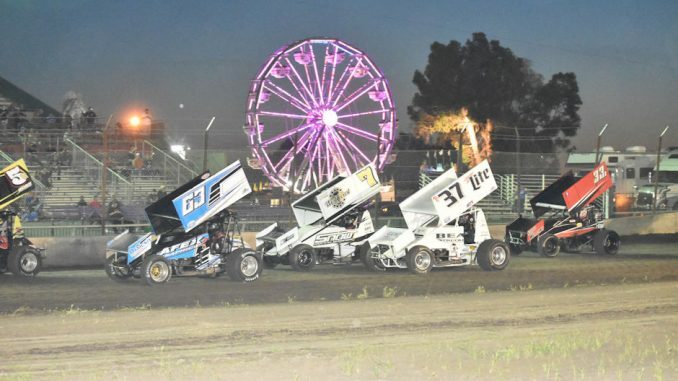 Stockton, CA – April 3, 2019…The second annual “Asparagus Cup” on April 12th and 13th at the Stockton Dirt Track marks the next event for the Sprint Car Challenge Tour presented by Elk Grove Ford and Abreu Vineyards. Upwards of $70,000 in purse money will be handed out over the two nights of racing. Opening night of the Asparagus Cup on Friday will award $10,000-to-win the feature and the Saturday finale will pay out a strong $15,000-to-win. Each night will also be a solid $800-to-start the A-main. The Sprint Car Challenge Tour presented by Elk Grove Ford and Abreu Vineyards recently opened the season at Placerville Speedway, where Auburn’s Andy Forsberg claimed the big victory over Roseville’s Sean Becker and Hanford’s Mitchell Faccinto. All cars that competed at the Sprint Car Challenge Tour opener in Placerville are also eligible for the $500 Kyle Larson Racing Bonus if they win a feature at the Asparagus Cup. The San Joaquin Asparagus Festival offers everything from food to fun. Bring your family and friends to enjoy Asparagus Alley with delicious asparagus dishes, live entertainment, Health & Wellness Fair, countless vendors, Craft Beer and Wine Pavilion, Cooking Demonstrations, Recipe Contest, Deep Fried Asparagus Eating Competition, Monster Truck rides, Kids Zone with carnival rides and games, country farm animals and much more.